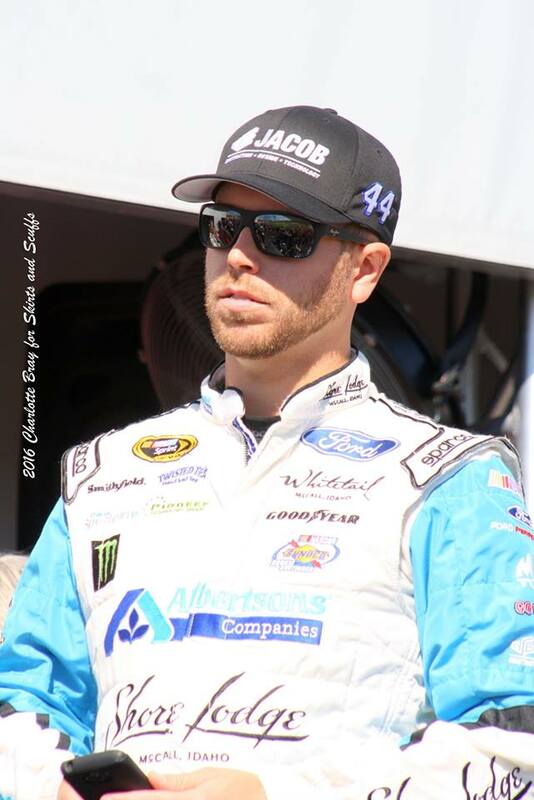 Racing at Talladega Superspeedway often leads to memorable finishes, and this past weekend’s event was especially memorable for Brian Scott, driver of the No. 44 Ford for Richard Petty Motorsports in the Sprint Cup Series. Learn more about this weekend’s runner-up in this week’s Fast Facts, originally published in May 2013. Brian Joseph Scott was born Jan. 12, 1988 in Boise, Idaho. His father, Joe, is owner of Shore Lodge and Whitetail Club in Idaho, while his great-grandparents were the founders of Albertsons grocery stores; both companies have sponsored Scott throughout his career. Scott has been racing since age 12, beginning on dirt tracks then moving to asphalt ovals in 2006, where he raced Late Models and in the USAR Pro Cup Series. In 2007 he made his NASCAR debut in the Camping World Truck Series at New Hampshire Motor Speedway, racing for his family-owned team. Scott competed full-time in the Truck Series in 2008, finishing second in Rookie of the Year standings, and won his first Truck Series race at Dover International Speedway in 2009. In 2010, Scott moved up to the Nationwide (now Xfinity) Series and once again finished runner-up in the series’ Rookie of the Year battle. 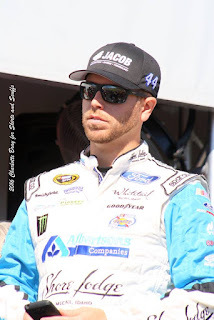 He spent the 2011 and 2012 seasons with Joe Gibbs Racing before moving to RCR in 2013. In 2012, Scott added a second Truck Series win to his resume with his victory in Phoenix for Kyle Busch Motorsports. Scott moved to Richard Childress Racing in 2013, earning two runner-up finishes (to Kyle Busch at Indy and Brad Keselowski at Richmond after leading 239 of 250 laps). That year, he made his Cup Series debut for RCR at Charlotte in October. In three full-time seasons at RCR, Scott finished a career-best fourth in points in 2014. After also running part-time in the Cup Series for RCR in 2015, Scott moved to RPM full-time for the 2016 season, picking up his career-best runner-up finish in the series at Talladega in October. Scott married Whitney Kay during the 2014-15 off-season. The couple has a son; she also has a daughter, Brielle, from a previous relationship. Learn more about Scott on his Facebook page, and about RPM at richardpettymotorsports.com.